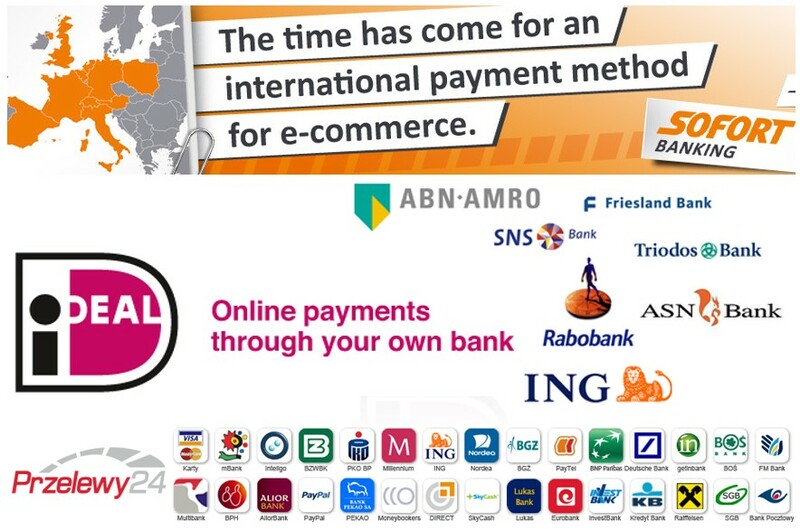 Looking for an EU e-commerce merchant account that supports the most popular European debit networks so you can accept EU debit cards online? You have come to the right place. We can help you accept Sofort AG (Sofortüberweisung in Deutsche) the big German instant pin-based online payment transfer, iDEAL the leading online direct transfer system in the Netherlands, and the popular Polish online payment method Przelewy24 (P24) to support merchants active in the Polish e-commerce sector in addition to Visa and MasterCard. We are international payment consultants. We advise growing e-commerce sites looking to expand payment acceptance methods as a means of increasing sales. Adding the ability to transact in 156 currencies and sell worldwide with alternative payment methods always increases sales for our clients. Many people in Europe prefer the more secure PIN-based transactions over Visa and MasterCard so expanding payment options often increases sales. It is all about the conversion rate. Most of the popular shopping carts are supported but we specialize in WooCommerce. We help our clients transform WordPress websites into thorough-bred eCommerce stores with an integrated iFrame payment gateway extension/plug-in and a multi-currency merchant account. Sell in 156 transactions and settle in Euro. With our WooCommerce extension, you can accept Sofort, iDEAL, and P24 inside your site without an SSL certificate. Supports 3-D buyer authentication Verified by Visa and SecureCode by MasterCard. Enterprise-grade fraud management tools. Established high risk merchant types with processing history can be accepted. Plugins for popular shopping carts like WordPress, Joomla, OpenCart, osCommerce, PrestaShop, Zen Cart and more are also available. Must be registered/incorporated in one of the 27 EU member states. Austria, Belgium, Bulgaria, Croatia, Cyprus, Czech Republic, Denmark, Estonia, Finland, France, Germany, Greece, Hungary, Ireland, Italy, Latvia, Lithuania, Luxembourg, Malta, Netherlands, Poland, Portugal, Romania, Slovakia, Slovenia, Spain, Sweden, and United Kingdom. Not Registered in EU? We can help you register/incorporate in the EU. You don’t have to live in the EU to get an EU merchant account. We do not provide registered agent and incorporation services but can provide referrals to firms that offer such services.